The walleye arrived promptly and were very tasty! Excellent work by the Walleye Direct team. I will look to this site for future fish purchases. Best Walleye in years, only Walleye in years! As the title says it's been years since I've eaten any walleye but, now that I know where to order it from the internet I'll definitly be eating walleye more often!!! Great fillets . Would recommend to anyone wanting Walleye fillets for grilling or however you would want to cook them. 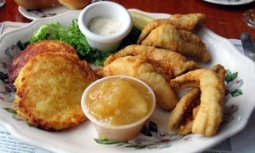 We coated the walleye with a flour/Cornmeal breading and deep fried at 375 and it was great. I was worried about the walleye arriving frozen. I live in San Diego and that is a long way to go. I chose 3 day delivery and they cam frozen solid. yeah!!! Haven't tried the walleye cheeks yet. They are bigger than I thought. We had walleye fillets last night and they were fresh and great!!! I hope they run a "free delivery" special again. Fast ship, packing was grate and frozen. Will order again. Flaver and texture was grate. Were a few bones in fish but nothing bad. Good product. This is my second order of walleyes from Walleye Direct, and it is as good as the first. I bought enough to have a Fish Fry at a local tavern in the near future with some of my friends. Good size fillets, arrived very much still frozen solid in one large bag. Ate some - very good. Repackaged the rest into smaller bags. Any way to vacuum seal your product into smaller bags for the non-restaurant customers out there? Our walleye arrived on time.The fillets were beautiful in the words of my husband. It was fresh and the size of the fillets are well worth the price. We loved it and will only buy from this company from now on. 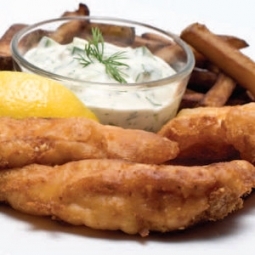 Most people love salmon, tilapia, etc, but they haven't tried walleye fillets from the Midwest. I grew up in Minnesota and loved eating fish but now in California you can't get great fillets as you can from Walleye Direct. I ordered and within 2 days (Christmas rush and all) I received MY very own gift of walleye fillets! Thank you for bringing my childhood back to me and being able to enjoy a great fillet! I received the package on time and the fish was still very frozen. It is delicious. I had eaten walleye at the relative home in MN years ago and knew how good it was. Thank you. second time buyer. excellent product. this purchase came with a 15.00 discount that was not applied. used code xmas14. please look into this and advise. looking forward to delivery of my walleye. thanks for your anticipated cooperation. I have been purchasing from Walleye Direct for the past 6 years and the quality and quantity of service is excellent. The final product keeps me reordering for more. The fish arrived perfectly frozen and thawed nicely overnight . My husband and I entered 3 additional couples on a beautiful sunny Autumn evening. We started with a mixed lettuce, green grape and goat cheese salad with citrus dressing prepared ahead of time. This was followed by a small serving of gourmet slow cooker New England Clam Chowder. The main course was Crispy Baked Walleye with a Panko bread crumb, instant mashed potato and Parmesan cheese coating on our Walleye fillets. It was crisp on the outside and flaky on the inside. It was served with a Fresh Tomato, Mango salad with fresh cilantro and their choice of chopped cashews or macadamia nuts on one side. Blackened corn adorned the other side of the beautiful fillet. The individual apple, cherry or peach pies baked in muffin tins, drizzled with flavored liquors and topped with ice cream was served after sitting on our porch around a fire feature. The walleye was an absolutely perfect star for our special dinner. 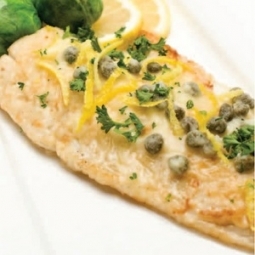 The appearance of the generous fillets and quality of flavor made fans out of our guests. Thank you for this great product. We look forward to our next meal. Excellent product, great delivery and good communication. Highly Recommend! Super Yummie!!! There is no better fish than Walleye. I have caught walleye fresh in the Boundary Waters of MInnesota. It was 15 minutes from flopping fish to savory stomach. There is no flavor like fresh-caught walleye. But these frozen filets are almost as good. Yum!